Mama knows best! The calm, caring ‘Kanga’ of the jungle, this matriarch is always there with a word of encouragement, or to take the jungle crew under her parental protective wing. She’s also ready to pull the animals back in line with a no-nonsense shake of the head when they get too carried away. Mama has her feathers full with her nest of two giggling, overactive eggs and the adrenaline-fuelled force of anarchy that is Baby Ostrich. This otherwise patient and peaceful mother tailspins into a panicky over-protective flap if her babies are in danger. 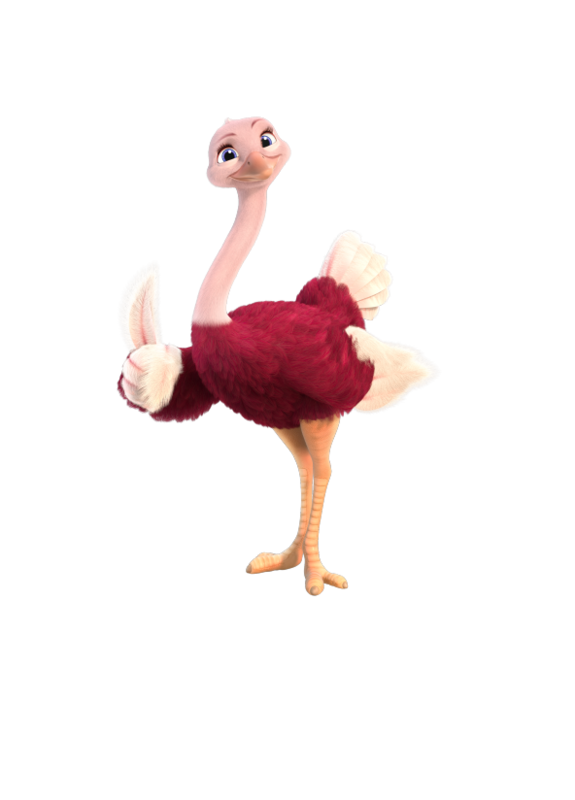 But Mama Ostrich is going to have to learn to let go a little if she's going to keep up with Baby Ostrich - her adventurous daughter won't stay in the nest forever. The ostrich lays the largest eggs of any bird living in the world today. If you fried an ostrich egg and ate it, it would be like eating about twenty-four chicken eggs. That’s too much egg for one person!